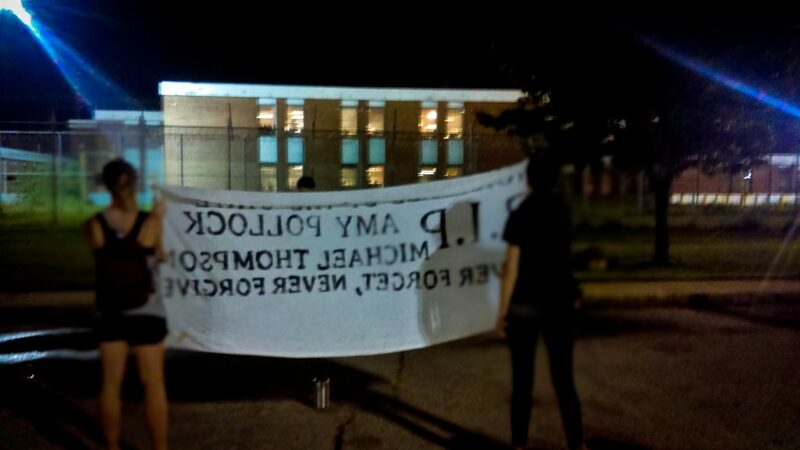 Around dusk, 50 people gathered at Hickey Park and marched to the Hall Street detention center in solidarity with the nation-wide prisoner strike. Banners were unfurled. 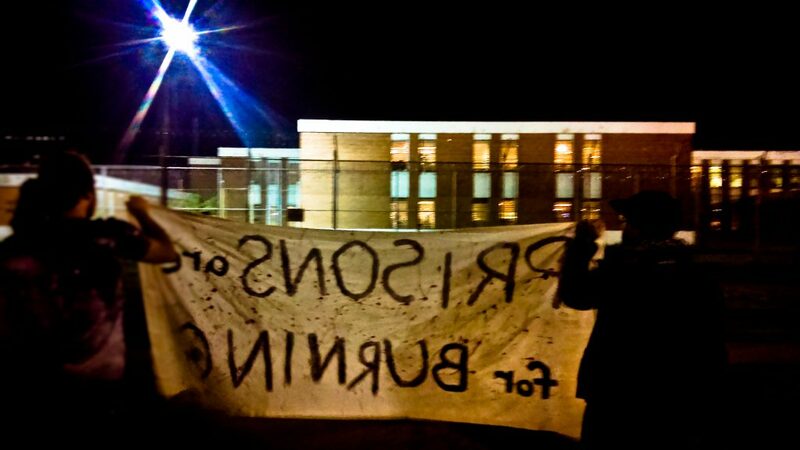 “Prisons are for burning,” “Let the crops rot, strike for dignity, against all prisons,” “End prison slavery,” and “Murdered by the State. 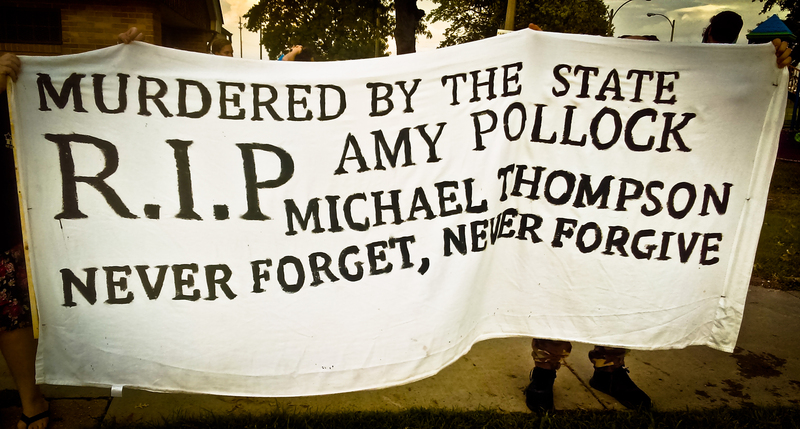 RIP Amy Pollock and Michael Thompson. Never Forget, Never Forgive!” The last one reference to a women who was found dead a week ago in the jail of apparent suicide and a man who was killed by the police near the park we started our march at. On the way to the jail, marchers handed out leaflets and talked to bystanders about the strike. There were also folks’ who related their times in prison or jail. A few people who’s relative or friends were or are currently locked up joined in at a few points. Upon arriving at the jail, a good amount of fireworks were lit and protesters were able to communicate with prisoners in the notorious work house. A ruckus was made with pots and pans, a mobile sound system, a megaphone, a drum kit and voices. Visitation hours seemed to have just ended as we got there, so there were families heading to their cars when we showed up with our cacophony of noise. They started to contribute to the noise as well, honking their horns, waving to the their loved ones inside. Prisoners crowded most of the windows we could see. At times, we quieted down and we could hear an incredibly loud chorus of screams, chants, banging, songs from their end. “We love you!” “God bless yall!” “We need showers!” Prisoners told us about lack of showers and poor water quality among other miserable conditions.